Organized by CNAICO, 2012 the 12th Beijing International Automotive Exhibition (Auto China) officially opened to the public on April 25 in Beijing China International Exhibition Center. 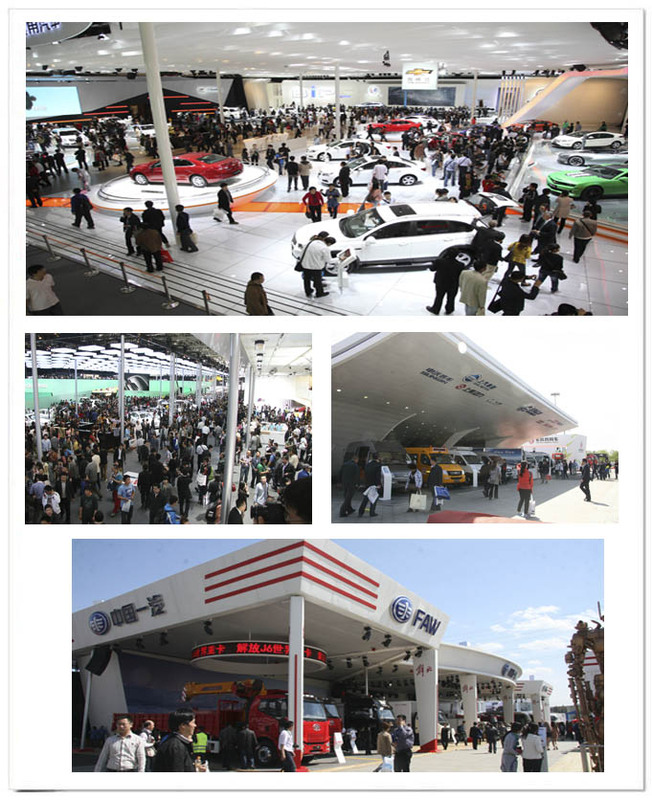 The biennial auto show gained many high attraction from Chinese and foreign automobile industry and the society again. Nearly ten thousands journalists from all over the world reported the show. According to the official estimation, there were 800,000 audiences would come to visit. Almost all important global passenger car and commercial vehicle manufacturers as well as many well-known Chinese and foreign auto parts suppliers brought their latest products and the most advanced scientific and technological achievements to the auto show. During the two days media day on April 23, 24, every big vehicle exhibitors were busy to release their world debut cars, Asia debut cars, concept cars, and new energy vehicles, which focusing on new achievements, new development of science and technology of the innovation in global auto industry. According to statistics, the total exhibition area of Auto China is 230,000㎡which set a new record in history. There were 2,000 vehicles, auto parts and supplies manufacturers from 14 countries and regions participated. 1125 vehicles exhibited including 120 world debut cars, 74 concept cars, 88 new energy cars. Display size showed the high quality and international level and great attraction of Auto China, at the same time proved that the China auto market had big influence on the global auto industry. All multinational automobile companies in the word positioned Auto China as the world's most important A-class auto show, and brought a lot of word debut concept models and latest technological models. Domestic exhibitors also displayed at the show. Compared with the past, not only the scale was much larger, booth standard was much higher, but also launched 84 debut models. In this show, the most attractive point of Chinese and foreign media is China-Made Brand began to release independent researched new technology for the first time. Moreover, this signal indicates that with the rapid developing of china’s auto industry, china is moving from big auto country to powerful. Accord with the theme of this show, commercial vehicles and auto parts exhibition area also showed the leading of innovation. Commercial vehicles exhibited in the south square of the new China International Exhibition Center this year. Exhibition area is 23，000㎡, increasing 30 percent than last show, which is the most ambitious commercial vehicles exhibition area in the history of Auto China. Nearly 30 commercial vehicles companies displayed their latest products. Auto parts exhibition area of Auto China exhibited in old venue of China International Exhibition Center. The exhibition would last to April 27. Exhibition area was 50,000㎡with 10 exhibition halls. The exhibition attracted lot of giants of auto parts all over the world and domestic OEM, altogether more than 1,700 exhibitors to participate in, fully showed the develop direction of the entire develop level, scientific research and green auto technology in the future. Many activities also been held during the show, especially the "win-win cooperation and competition challenge" roundtable meeting was the most concerned by industry. This forum was held before the show in SINOMACH. More than 50 people including government officials, delegates of industry and auto companies from China and Europe attended this meeting. Auto China received great support and concern from leaders of SINOMACH. In the evening of April 24, leaders from SINOMACH, including some Outside Directors, Deputy Party Secretary, Secretary of Discipline Inspection Li Zhanyong, former Vice President Wang Songlin, Secretary of the Board Liu Bing, Assistantof PresidentWang Shuqing, Zhao Bing, General Legal Adviser Wang Qiang, EmployeeDirectorWei Feng, Assistantof PresidentLiu Jingzhen, Liu Zuqing visited the show.